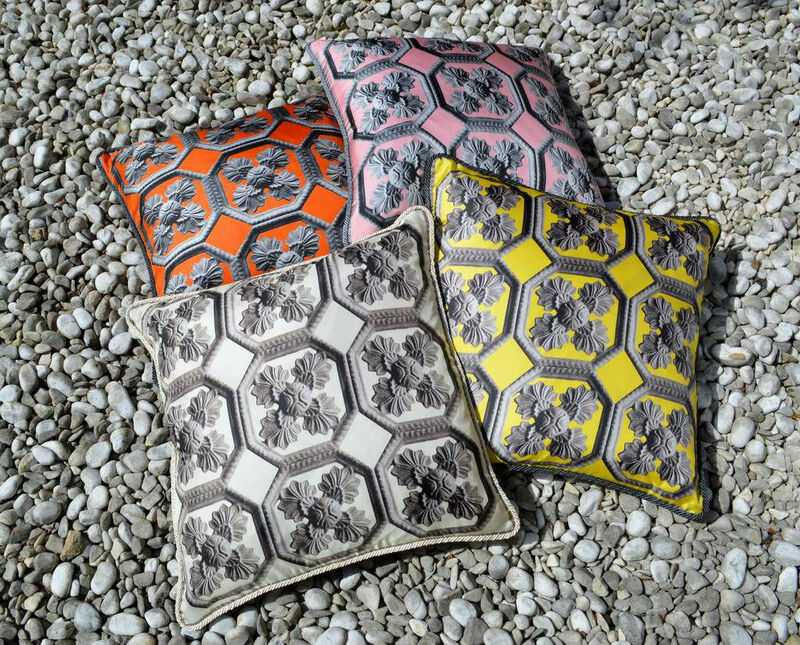 Alexandra D. Foster's wanderlust-inspired pillow collection has finally landed in her hometown of Boston, available here for the first time at Beacon Hill boutique Kate & Theo Home. Living in London and working as an interior designer and travel writer (jealous much? ), Boston expat Foster draws on her own far-flung adventures to create original motifs. 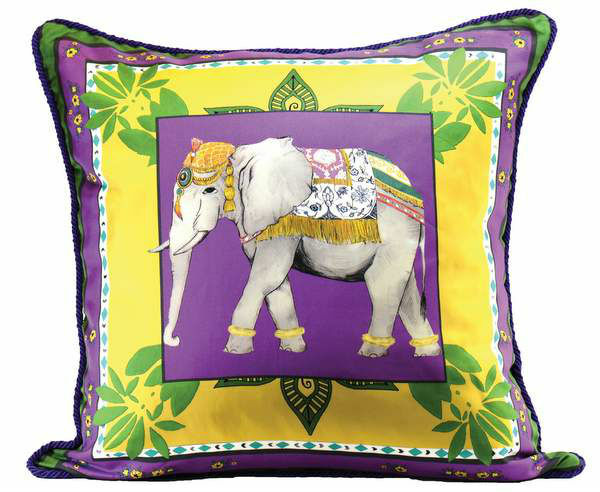 From the rooftops of the Amalfi Coast and latticed doors of London to an opulent elephant in Jaipur and florals from Tokyo, each colorful design reflects Foster's travels as chronicled on her blog, Destinations Perfected. 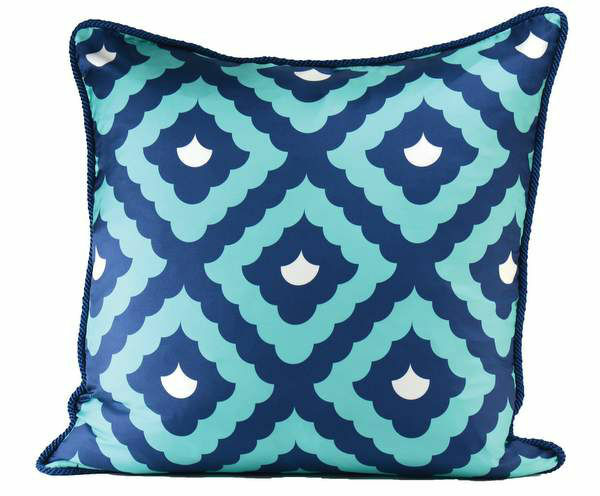 The 20 x 20 pillow covers are made of cotton-lined silk with zipper closures and retail for $295 (insert not included). Many also feature coordinating braided trim, crafted completely by hand and sourced from passementerie artisans in Bologna, Italy. 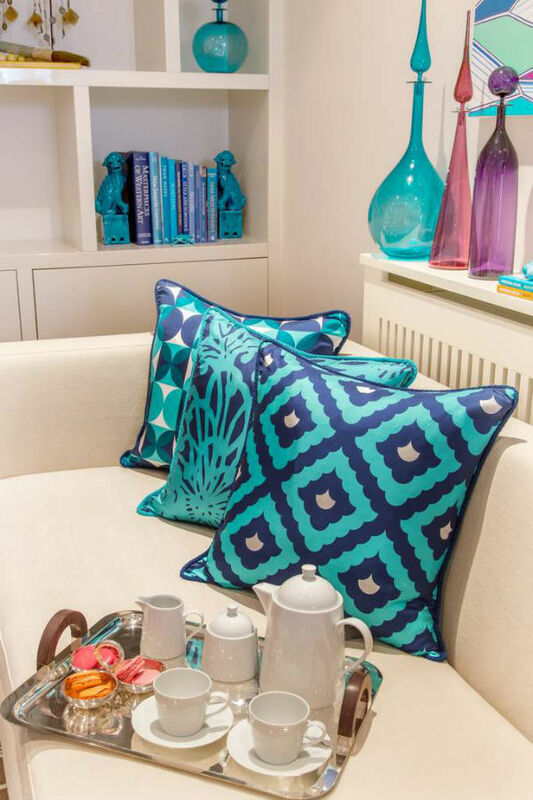 While Kate & Theo is the only local retailer to carry the line, Alexandra D. Foster pillows can also be found on the designer's website, where you can place a custom order should a particular color combo strike your fancy. The line is currently available at three other stores in the U.S., six in the U.K. and one in Kuwait. Get your passport ready! ps. check out my obiqo giveaway!